A realm under control of an evil sorcerer. Kingdoms that have opposed him have been reduced to a shadow of their former selves. However, a group of strangers will form friendships to return the Fourteenth Kingdom to light. 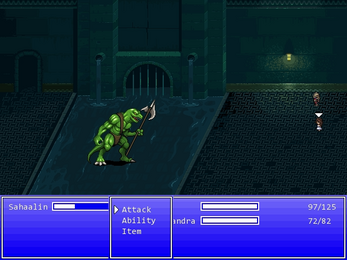 Chosen Heart takes place in a medieval Arabian fantasy setting. Join the heroes in this adventure of good versus evil. 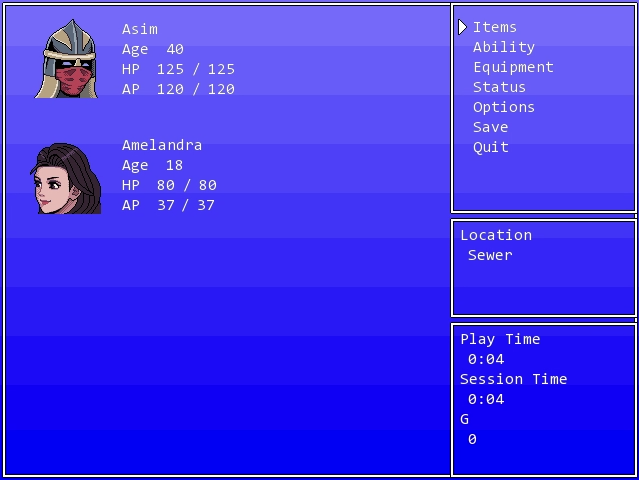 Chosen Heart uses a custom engine that incorporates constantly flowing time. The main idea is to create an interesting mechanic for game play and story. The secondary idea is to reduce the amount of experience grinding needed. The first major time element is character change through aging. 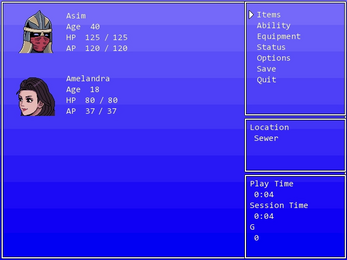 Character stats and graphics can be altered from year to year. There will be support for characters becoming too old to adventure. A year or two before a character's max age, they will hint that they don't have much longer. Eventually, a character could die. On the flip side, a new character could become available because they are of fighting age after several years. The other major time element will be events that are triggered through time. The main evil boss isn't sitting around waiting for you to show up. They have nefarious plans that they are trying to accomplish. For example, a dragon may be released after 5-10 years that flies around destroying towns every few months. These events would cause a permanent change to the world. 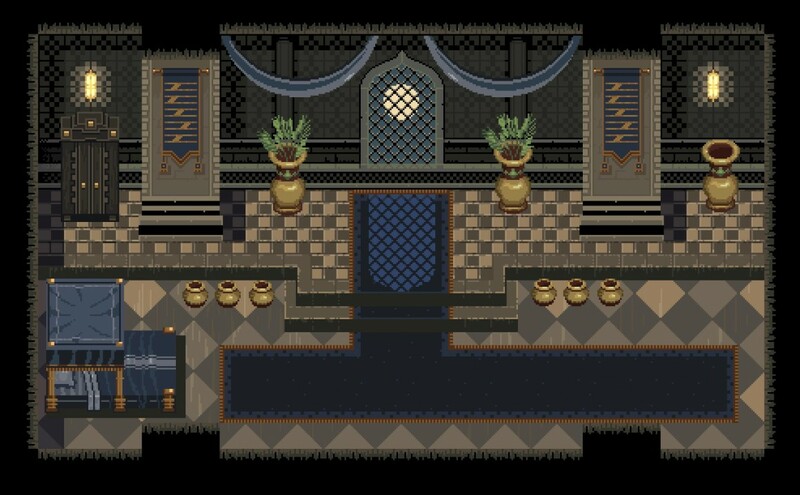 A player would no longer be able to access those areas. However, new areas could also be opened up over time. Be sure to read CONTROLS.txt for keyboard and XBox360 controls. Minimum requirements are Windows Vista SP2 with .NET 4.5.2 and a graphics card/chip that supports OpenGL 2.1.